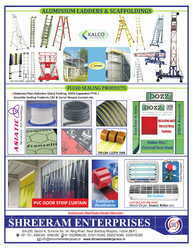 Established in the year 2005, at Indore, (Madhya Pradesh, India), we, “Shreeram Enterprises,” are an eminent name engaged in providing retail and supply of different types of Rubbers & Plastic Polymers like , Material handling Products, Castor Wheels, Electronic Test and Measuring Instruments, Modular Conveyor Components, Anti Vibration Systems, Fluid Sealing Products (Glands and seal), Safety & Gas Products, Spares for Pharmaceuticals Industries, sieves (Meshes), Aluminium Ladder, Pvc & Air Curtains etc. Furthermore, we also render highly dependable Statue Design Services. We, a sole proprietorship firm, have managed to lead the market of retailing and supplying of Industrial Testing equipment and have achieved a turnover of More than 5 crores (50 million INR) annually. High end technological upgradation in each and every department of ours combined with a state-of-the-art customization facility have made it feasible and profitable for us to supply Industrial Inspection equipment of the finest quality at the most affordable industry prices to our clients like Ranbaxy Laboratories Ltd., Lupin Ltd., VE Commercial Vehicles Ltd, Procter and gamble and many others. The highly fruitful and efficient leadership of our mentor, Mr. Manish Biyani has helped us reach a distinct and eminent position in the industrial testing equipment retail industry. His inspiration and guidance in every endeavor of ours continues to successfully lead us on the road towards complete client satisfaction in the Indian Subcontinent. 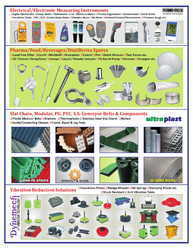 Trading of different types of Rubbers and Plastic Polymers. The client centric approach and ethical business policies of our organization help us in expanding our business across the country. From the inception of our organization, we have offered our clients superior quality Electronic Test and Measuring Instruments, Conveyor Components, Anti Vibration Systems, Fluid Sealing Products, Rubber & Plastic Polymers, Safety and Gas Products. Further, our wide distribution network also helps in proper understanding of the requirement of our clients and delivering them within due time. To attain maximum client satisfaction our organization follows total quality management policy. Keeping client satisfaction in mind, we conduct comprehensive quality measurement at each stage that starts with the procurement of products and ends after delivery of our Electronic Test and Measuring Instruments, Conveyor Components, Anti Vibration Systems, Fluid Sealing Products, Rubber & Plastic Polymers, Safety and Gas Products. The quality measurement is done under the strict supervision of our quality inspectors, who have a vast domain expertise. 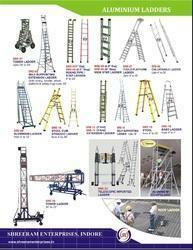 all kinds of Material Handling Equipments etc. 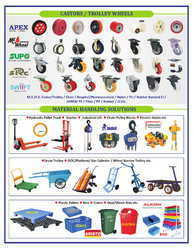 We are engaged in retailing and supplying of a superior quality range of Electronic Test and Measuring Instruments, Conveyor Components, Anti Vibration Systems, Fluid Sealing Products, Rubber & Plastic Polymers, Safety and Gas Products. Procured from reliable vendors, the offered products are manufactured using high grade basic material and are known for their features like reliable performance and durable finish standards. 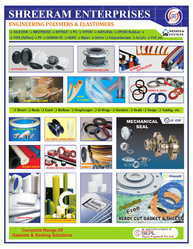 Choosing the most famed and a dependable vendor is of utmost priority to our firm for the continuous supply of our Electronic Test and Measuring Instruments, Conveyor Components, Anti Vibration Systems, Fluid Sealing Products, Rubber & Plastic Polymers, Safety & Gas Products at the most affordable market prices. Our talented and highly educated purchasing agents are helped by extensive industrial understanding. Due to our superior vendor base we are capable of delivering customized solutions as per our clients’ requirements. The experienced team of our organization helps us in maintaining our current market position. The deep knowledge of our experts assists us in choosing the reputed vendors and in sourcing superior quality Electronic Test and Measuring Instruments, Conveyor Components, Anti Vibration Systems, Fluid Sealing Products, Rubber & Plastic Polymers, Safety and Gas Products. 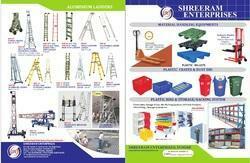 They also help in delivering the products to our clients within the due time. Further, we also conduct workshops and in-house training sessions for keeping the team abreast of the recent market standards and trends.